Best of both learning worlds! 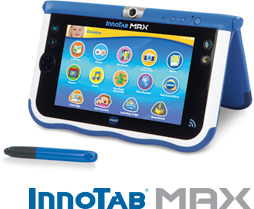 InnoTab® MAX uniquely combines our expert-supported learning library with carefully selected educational Android apps. A tough, kid-friendly cover that’s removable for a grown-up feel. 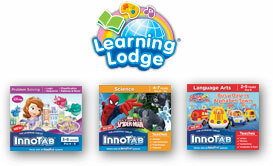 A huge library with progressive learning that’s perfect for kids of all ages. 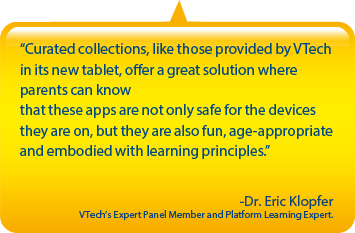 An ever expanding selection of educator-supported apps. 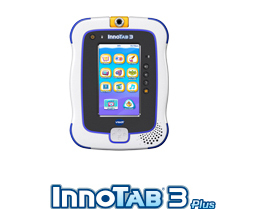 Which InnoTab is right for you? 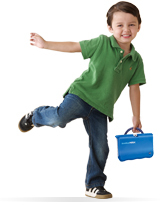 Kids can send and receive voice messages, photos, drawings and more to and from iPhone® and Android smartphones. Our expert-supported curriculum includes 650+ cartridges and downloads that feature recommended age and grade ranges for your child's unique needs. The acronym STEAM stands for Science, Technology, Engineering, Arts and Mathematics. By putting these five disciplines together, a curriculum is created that blends what students learn in the classroom with real-world applications. 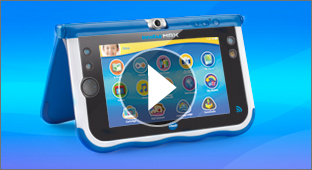 In support of this curriculum and to help students enjoy learning, VTech has created the InnoTab© STEAM Bundle. This bundle features fun and educational games that will build interest in the five STEAM subjects and encourage them to learn not because they have to learn, but because they want to learn. 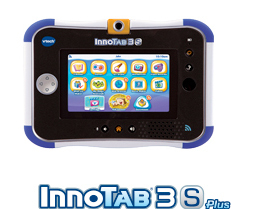 Check back in November for available InnoTab STEAM Bundles. © 2013 Viacom International Inc. All Rights Reserved. © 2013 Viacom International Inc. All Rights Reserved. Nickelodeon, Bubble Guppies and all related titles, logos and characters are trademarks of Viacom International Inc.
© 2014 Scholastic Inc. I SPY® & © Jean Marzollo and Walter Wick. The Android robot is reproduced or modified from work created and shared by Google and used according to terms described in the Creative Commons 3.0 Attribution License. Android is a trademark of Google Inc.